First up, meet Al, who just completed his basic training to be a Guide Dog for the Blind. Al is a one-and-a-half-year-old black Labrador Retriever, and since he was eight weeks old, he has been learning his trade while living with Sharon Buetow, Club Leader of San Diego Paws 4 a Cause. 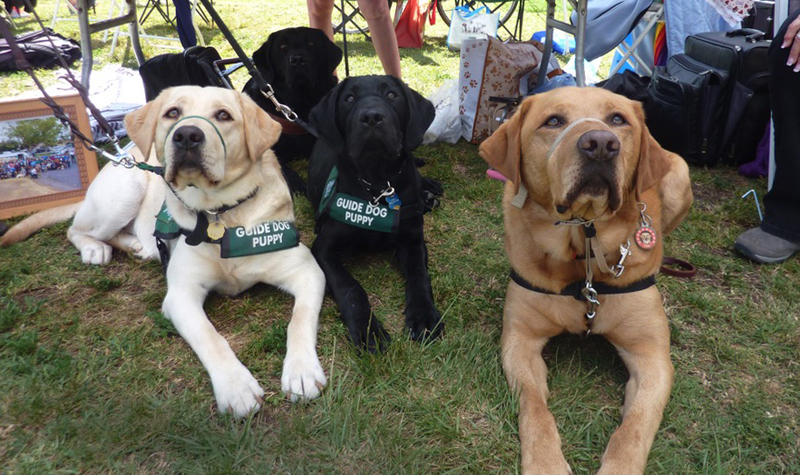 Members of this 100% volunteer club home-raise the puppies, working with them on socialization and basic training until they are 15–18 months old. The puppy raisers spend at least an hour every day training their dogs at home and then meet twice a month with the San Diego Paws 4 a Cause group. Once the dogs have learned specialized skills and are ready (usually between 18–24 months old), they are placed permanently with their sight-impaired new owners and begin life as a Guide Dog. Buetow explains, “The puppies learn very quickly that when they are in their training ‘jackets,’ they have to be serious and can’t play or chase anything. But once they are at home and ‘jacket-free,’ they get to just ‘be a dog.’” As for Al, he says that although he’s a little sad to be leaving the home he has known for over a year, he is proud and excited to be embarking on the career he was born to do! 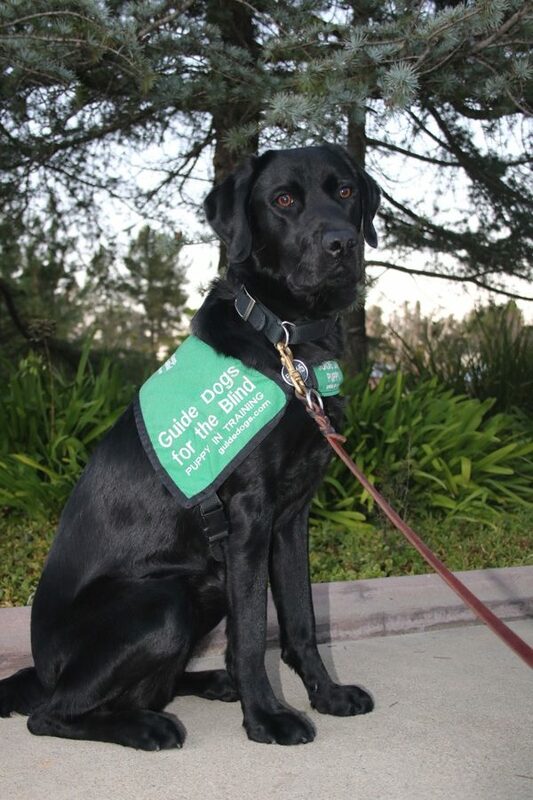 J.J. is also a black Lab, and she has a different job helping people. She works with Freedom Dogs, an organization affiliated with the Wounded Warrior Division at U.S. Marine Corps Base Camp Pendleton. Freedom Dogs was founded in 2004 by Beth Russell, who is now the lead trainer and president of the all-volunteer 501(c)3 non-profit. 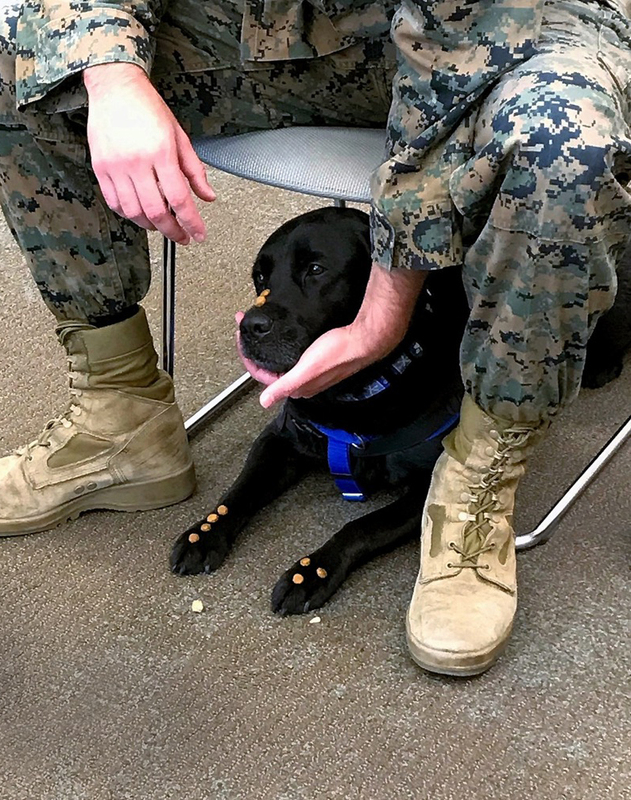 The organization’s mission is to train Specialty Service Dogs like J.J. to assist troops returning from armed combat who are dealing with PTSD, TBI and physical limitations. Most Freedom Dogs do not live permanently with their Marines and sailors—although a Partner for Life Program is also available—but instead partner with the wounded warrior on a temporary basis to give emotional support and assistance during his or her rehabilitation and recovery. J.J., like the other highly intelligent dogs in the program, complete two years of specialized training, where emphasis is placed on problem-solving and the ability to work with—and anticipate the needs of—the many different veterans she will work with throughout her career. If I were a human and got lost or needed rescuing, I’d for sure want Seurat, a Rottweiler, or Luke, a light brown Lab, on my trail. They are certified Search & Rescue dogs, and their younger brother, Spencer, another black Lab, is in training to be one as well. They all live with Dr. Julie Swann, a cardiac surgeon who is a founding member of Southwest Search Dogs, a group of about 25 volunteers who work with the San Diego, Chula Vista and Carlsbad police departments to provide professional K-9 S&R teams certified in Area Search, Trailing, Cadaver, Water and Basic Urban Disaster. Southwest Search Dogs answers about 70 calls annually from these law enforcement agencies. 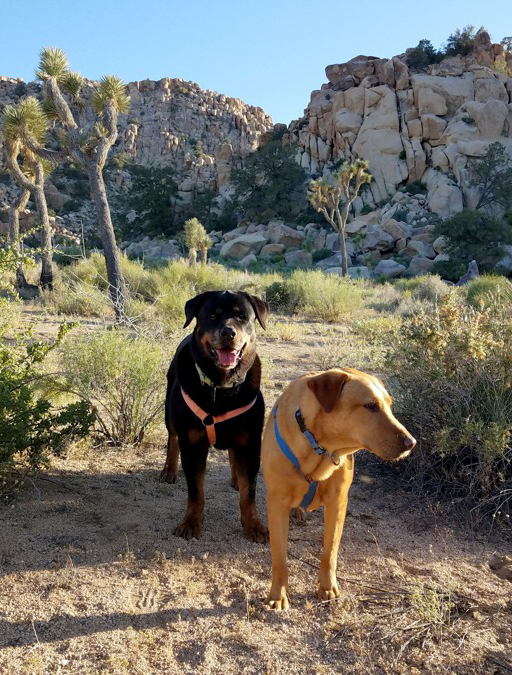 Trailing dogs like Luke work on-leash to follow the scent of a specific missing person, while dogs that specialize in Area Search work off-leash to find any missing people in rural areas and deserts, especially after fires, mudslides or avalanches. Seurat is certified in Cadaver Search, helping to find human remains. Bayes, one of Dr. Swann’s previous Rottweilers, was a Water Search specialist, and she accomplished a find in 168-foot-deep water! 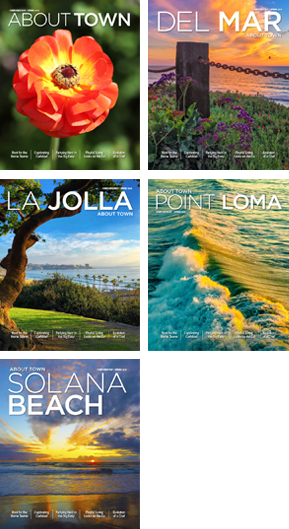 All these groups provide their valuable services free of charge and are 100% volunteer. If you are considering donating money to a charitable cause that really does good work, please consider one—or all—of these.